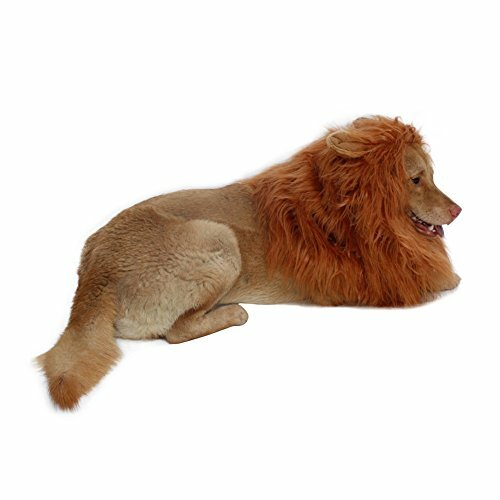 LION MANE SIZE-This item is adjustable,Easy to wear and take off.Fits pet's neck girth from 15.7" to 31" (40cm to 80cm), perfect for large or medium dogs. LION MANE MATERIAL - Faux fur and polyester, 100% brand new and high quality guaranteed. It doesn't cause any discomfort or irritation to your pet. DURABLE AND WASHABLE-Simply wash with warm water and mild soap then air dry. UITABLE FOR ANY PARTY-Halloween,Christmas, Carnival ,cosplay party,family party,and so on. also can keep pet warm in winter. SALE PROTECTION-To gain your trust in our product we have backed it by our unconditional money back guarantee, just in case you simply don't love it! Best of all, you're covered for a full 30 days. If you have any questions about this product by DIBBATU, contact us by completing and submitting the form below. If you are looking for a specif part number, please include it with your message.